Concession Street is one of the oldest commercial districts in the City of Hamilton. Our street has a long and fascinating history, beginning with SAM LAWRENCE PARK at the east end. Developed in 1960, the park was named after our colourful ex-mayor (1944-49) in recognition of his achievements on behalf of the labour movement. 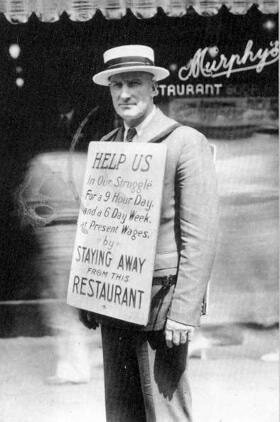 Here you can see him picketing outside a restaurant... his plackard reading "Help us in our struggle for a 9 hour day and a 6 day week at present wages by STAYING AWAY from this RESTAURANT". Concession Street has much that is unique, including it's location at the crest of what was once an almost insuperable rock escarpment (see photo of tower that crashed down the escarpment amidst the high winds of a severe thunderstorm). 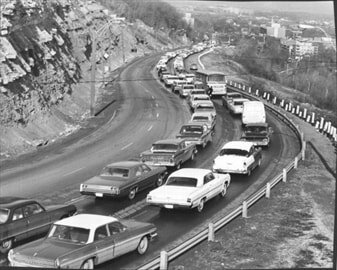 The history of the street's development is directly related to its citizens' many attempts to expand settlement upon the Mountain Brow, eventually developing the JOLLEY CUT, the broad roadway that now climbs from James Street South at its base to Upper Wellington Street atop the mountain, and the SHERMAN CUT, literally cut through the rock. 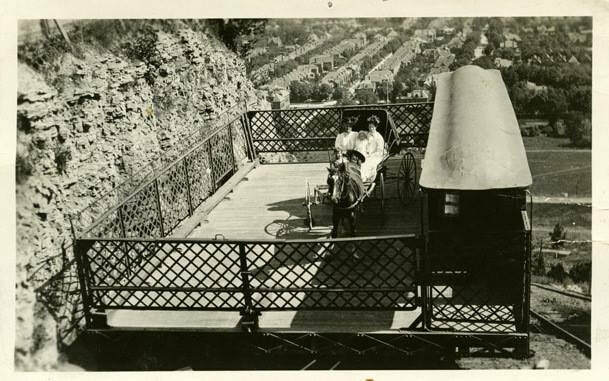 During the mid 1860's a high profile Hamiltonian, James Jolley, moved to the Mountain on his doctor's recommendation that his wife's health demanded 'mountain air'. He soon created a footpath to his business on John South below. Roadways of the day were privately owned and road maintenance was paid for by tolls. By 1873, with City permission, Jolley had built the "Jolley Cut" as a toll-free road maintained by the City. 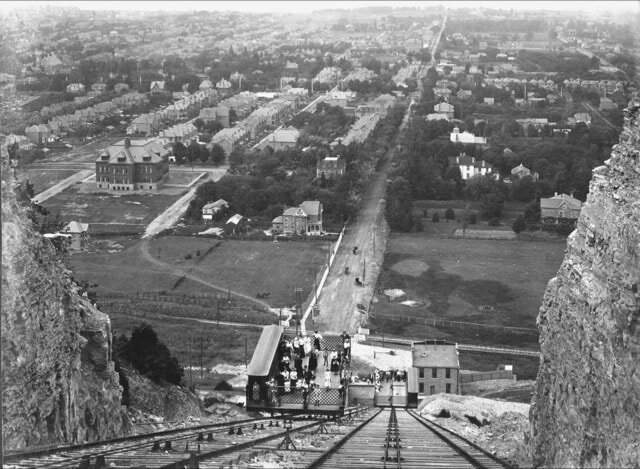 By 1891, the City limits now extended to include the Mountain Brow as far as Concession Street, partly due to plans for the creation of a new incline railway. The railway itself was an engineering marvel. Instrumental in increasing settlement atop the mountain, the railway operated on a counter-weight system moving two twenty-ton cars simultaneously, one up, one down. Known as the Wentworth Street Incline, it was the first of two used in the City. Each car could carry up to two farm wagons, plus up to 35 passengers. The ride was just 75 seconds long. Much of Hamilton was settled by Loyalist soldiers, moving north from what is now New York State. Also, many agricultural Europeans, including Swiss, German, Dutch, and French, escaped from religious persecution by emigrating to Canada and then to Hamilton. Receiving 200 acre lots, these loyalists mostly chose to settle below the "mountain". But the few that made the climb to the mountain brow were rewarded by one of the most unique views in the country. In the photo you can see what was once the Davidson Flour and Feed building at the corner of Concession and East 24th Streets, currently Opie's Meats. During the American Civil War, Concession Street became a haven for migrating black refugees. The strip between Upper Sherman and East 23rd became known as 'Little Africa', in sympathy with the former slaves. 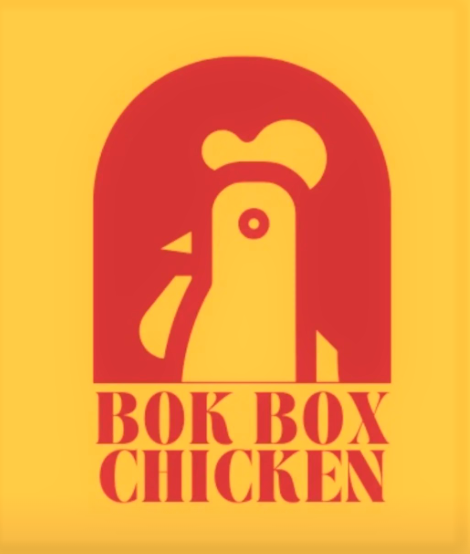 However, when the war ended the once exiled refugees slowly returned south. By 1900 the Mountain population had reached almost 3,000, most living along the Brow, lovely for it's views and fresh air. 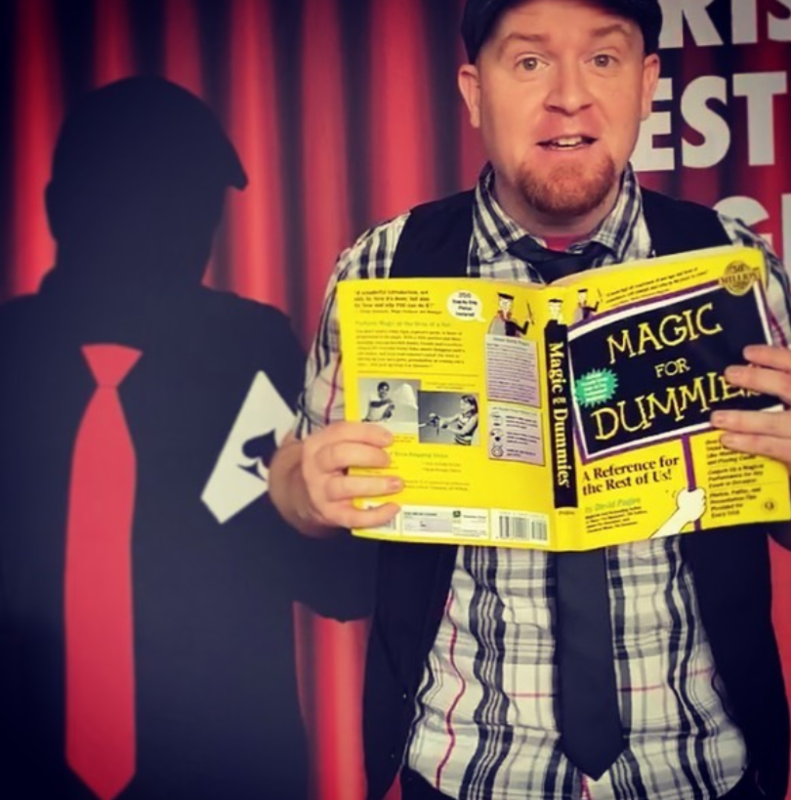 At this time, one of the city's most colourful characters, George Horatio Summers, began his entertainment career in Hamilton, eventually drawing thousands of people to the Mount Hamilton area. Often referred to as a gifted comedian, Summers was also a director, producer, and actor who had studied at Ryerson School in Toronto. 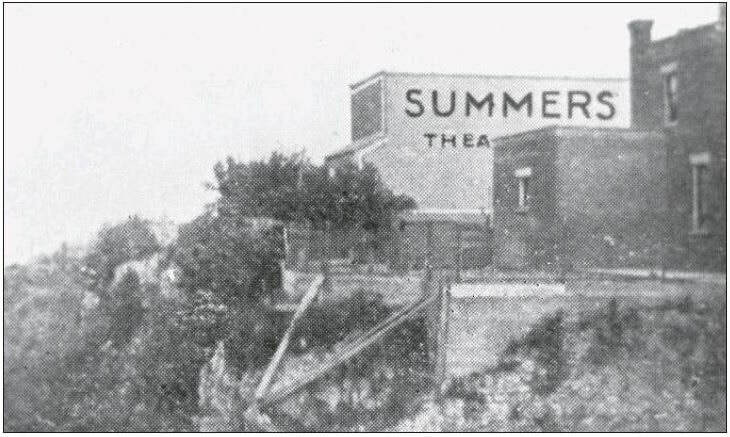 Summers took out a lease on the property at the top of the Wentworth Street Incline and officially opened his theatre in May of 1902. The 700 seat outdoor theatre was a great success. Admission was 10 and 15 cents with ice water available. 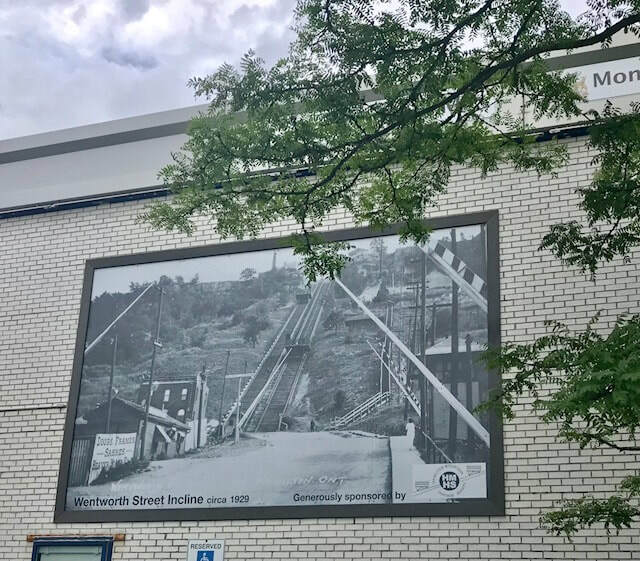 To beat the summer heat, crowds of 73,000 patrons ascended the Wentworth Street Incline Railway each summer season to attend the open-sided air-cooled theatre (whose slogan was "Always A Breeze') at the top of the escarpment. For eleven seasons George H. Summer Theatrical Enterprises operated this one-of-a-kind attraction, turning the mountain brow into a 'theatre district'. Once the theatre burned down in 1914, George moved to New York City and established a talent agency for actors and directors. In his retirement and back in Toronto, George Summers wrote poetry and scripted comedy sketches for the Canadian Broadcasting Company. 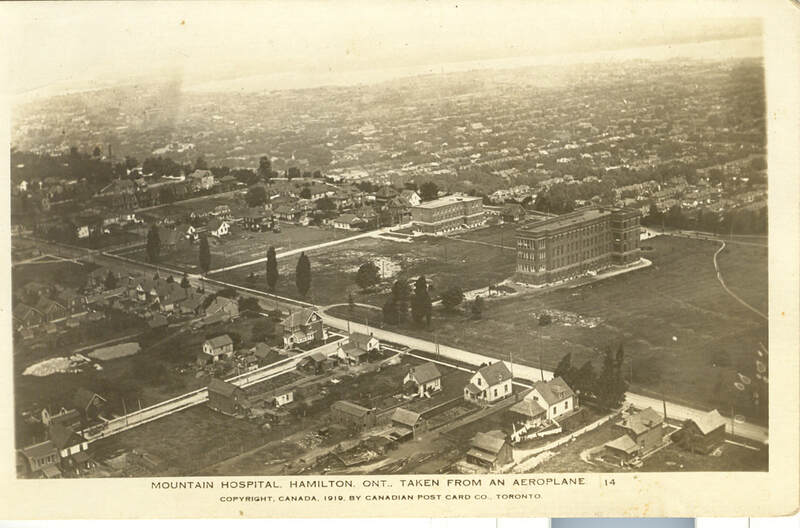 By March of 1916, the Mount Hamilton Hospital was accepting its first patients. Located on a once vacant field overgrown with wildflowers and directly opposite the apple orchard at Sherman Avenue plus an additional 15 acres of land annexed by the City, the hospital served as a convalescent hospital for returning World War I veterans. 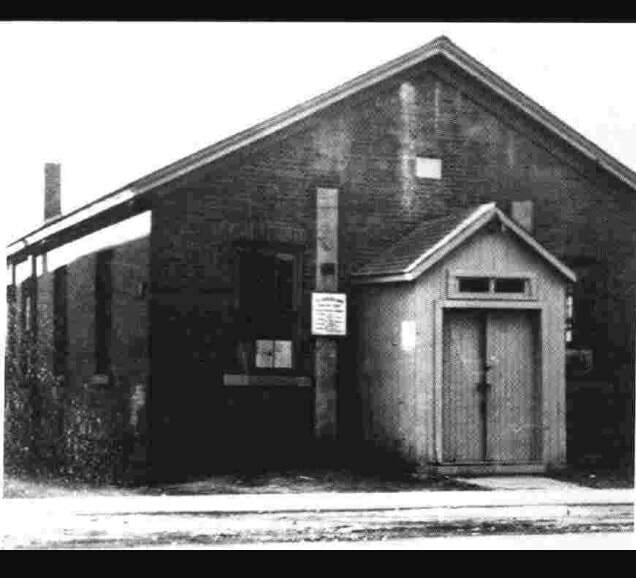 With the end of the First World War, housing on Concession again expanded, along with businesses, including Carroll's Food Store's first location - at 528 Concession Street - of what would become a 50 store chain across Hamilton. Still, in 1920, the Mountain Brow community consisted of poorly built frame houses and treeless streets. The north side of Concession at this time was the southern limit of the City boundary. Consequently, the south side of the street had no sewer system (and paid no taxes!). In addition to inadequate water supply, Mountain residents were concerned about lack of fire and police protection, as well as the poor condition of roads. These concerns were to continue. 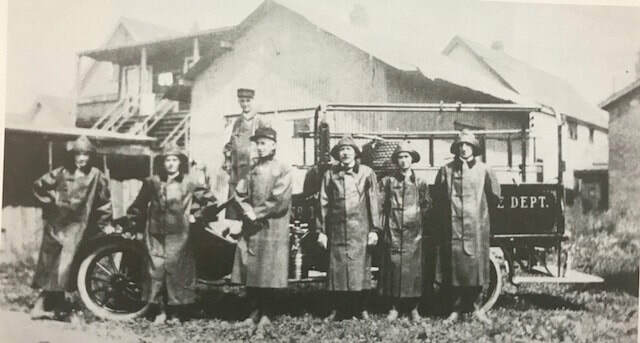 In November of 1921 a delegation presented a petition from almost all of the Mountain residents requesting that the City officially annex the entire Mountain community. Health concerns were the primary issues raised in support of annexation - including the danger of polluted water supply in wells, a lack of sewage disposal facilities, as well as the lack of any police protection. However, the City's Board of Control would not agree to annexation on financial issues. Through the 30's and 40's Concession Street business continued to expand, despite the closing of the James Street Incline at the end of 1931. During the Depression years, the City of Hamilton struggled with expanded welfare rolls. The Mountain community, not yet a ward, had a strong ally in City Councillor Nora Frances Henderson. 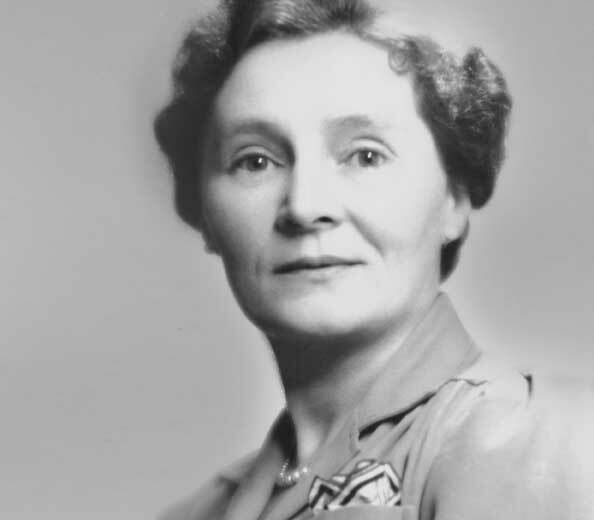 The first female municipal controller in the British Empire, she suggested the unusual idea that Mountain residents partipating in the unemployment relief programs perform their improvement work within their own community. Nora Henderson was a City Councillor in Hamilton for 16 years. It is in her honour that the Mountain Hospital changed its name to the Henderson General Hospital (The Henderson Hospital was renamed in 2010 to the Juravinski Hospital and Cancer Centre). 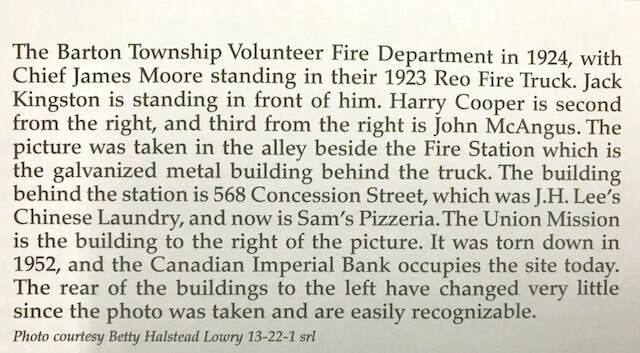 In 1948, an early predecessor of the Concession Street BIA was started when the Mount Hamilton Business Men's Association was formed. "Mountain Memories: A Pictorial History of Hamilton Mountain". All books available at Hamilton Public Library - Concession Branch.